Willem Dafoe is visiting for an exclusive video chat about his work on Disney's John Carter. The lauded actor talks working with his director, Andrew Stanton, and how his passion for the project was contagious. 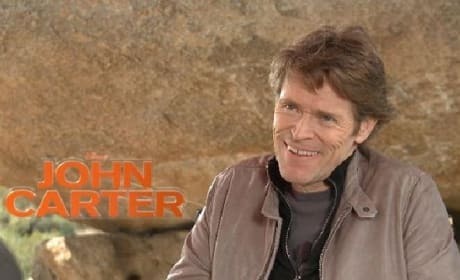 We've visiting Willem Dafoe in Arizona to talk about his work on John Carter and the upcoming thriller The Hunter. 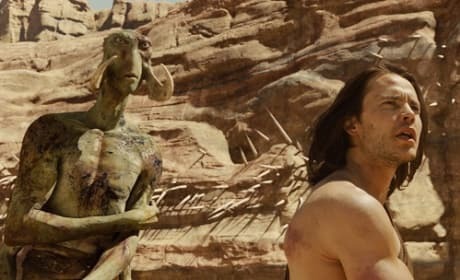 Dafoe is an alien in John Carter and talks exclusively about the joy of wearing a motion capture suit. Willem Dafoe has enjoyed a long, respected career. Dafoe may be best known to young movie fans for his role in the Spider-Man movies, but his film resume is well over 20 years old. It all pretty much began with his classic role in the cult movie, Boondock Saints. Willem Dafoe is a native of Appleton, Wisconsin.